Under the Maharashtra Cooperative Societies Rules 1961, a Registrar may direct a society to make bye-laws in respect of all or any of the matters referred in Rule 8 of the Co-operative Societies Rules. However, the bye-laws of the co-operative societies do not have force of law. In the case of Co-operative Central Bank Ltd. v. Additional Industrial Tribunal, Andhra Pradesh, Hyderabad, the Supreme Court observed the bye-laws that are contemplated by the Act can be merely those which govern the internal management, business or administration of a society. The laws so framed or adopted by the Society are binding on the society and the members but not on the non-members of the society and bye-laws cannot claim force of Statute even though they are framed under rule 8(a). In the case of housing societies, bye-laws cannot claim force of law so as to bind stranger non-members such as licensees. 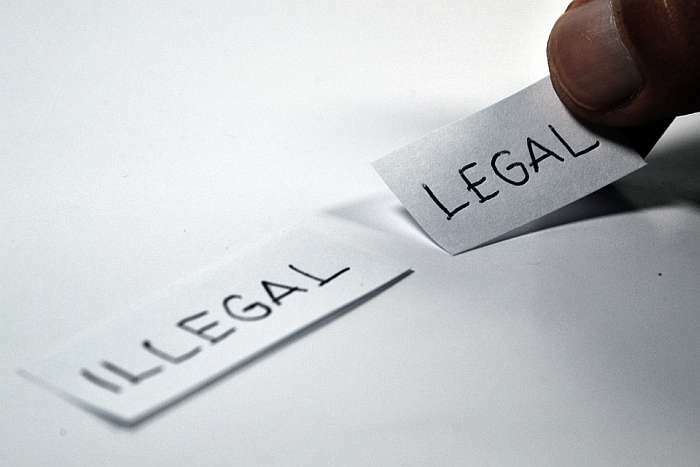 In Sardar Ajit Singh v. Saibaba Co-operative Housing Society Ltd, it was held that a licence by member without previous written consent as per bye-laws cannot make the licence illegal. Where the appointment of office bearer of a society is concerned, the definition of the word ‘officer’ specifically includes the Chairman and Vice-Chairman, a member of the committee and any other person elected or appointed under the Act, the Rules, the Bye-laws to give directions in regards to the business of the society. If clause (o) of the rules 8(1) of the Rules is read with the definition of the word ‘officer’, the mode of appointment of the Chairman and Vice-Chairman is thus clearly covered by clause (o) of rule 8(1). In Wasudeo Gulabrao Deshmukh v. State of Maharashtra, 1995, it was held that the society is competent to make or Registrar can direct the Society to make Bye-laws upon the said question of appointment of the Chairman and Vice-Chairman. In Wasudeo Gulabrao Deshmukh v. State of Maharashtra, 1995, it was observed that the bye laws must be constructed in manner so as to reflect intentions of its framers as also to make them effective and workable. In A.I. Umarani v. Saraswat Subarban Vo-op. Housing Society Ltd. 1985, it was held that it is well settled law that over the Bye-laws, the Rules will have precedence and over the Rules, the Act will have precedence for binding effect and no bye-laws can be adopted contrary to the provisions of either Act or the Rules.